Are you looking for something beyond your normal fine dining? Are you a real Indonesian food lover, perhaps seeking out the most exciting and out of the ordinary form of this excellent cuisine? Then look no further than this magical collaboration. 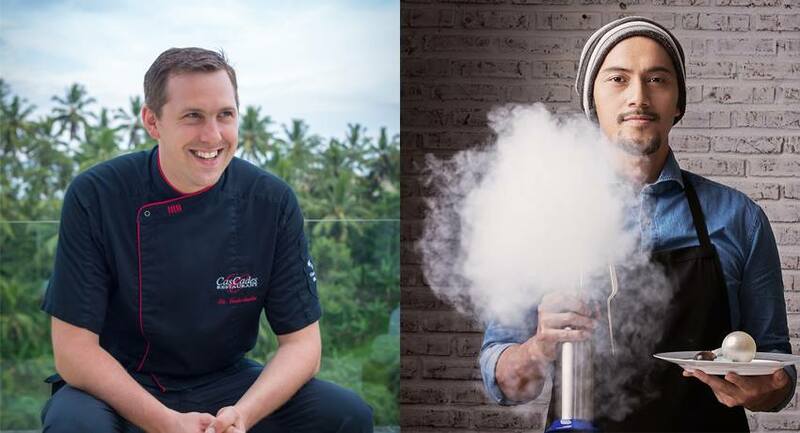 Sunday, 14th May 2017, CasCades Restaurant of Viceroy Bali will present a collaboration between our resident chef Nic Vanderbeeken and #1 Indonesian Molecular Gastronomy Chef Andrian Ishak. The presentation will be bold and the flavours will burst in your mouth like you’ve never tried Indonesian food before!